The new Lokotrack ST2.3 is suitable for a wide range of applications from scalping to fine screening and recycling. Thanks to its compact and safety-driven design, the easy-to-use ST2.3 is an ideal solution for entrepreneurs looking to enter the screening business. "For businesses thinking of expanding their operations into aggregates production, the first logical step is often screening. 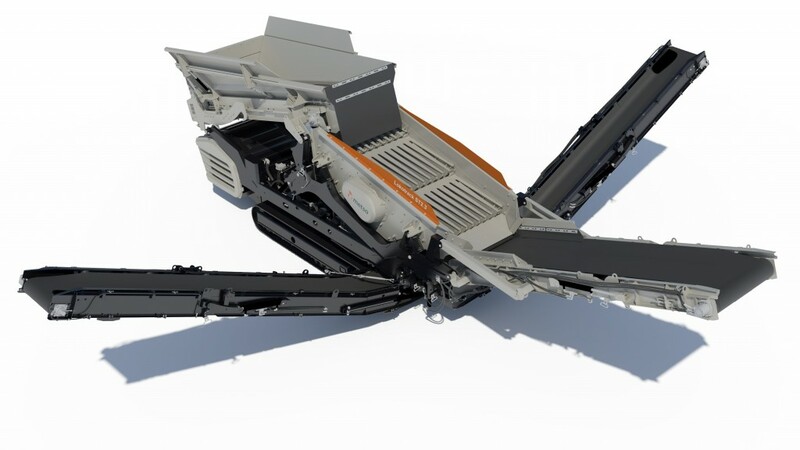 They can be already working in earthmoving or agriculture and want to utilize their existing soil property to grow their business," says Jarmo Vuorenpää, Product Manager, Mobile Screens at Metso. The Lokotrack ST2.3 is suitable for a wide range of applications from multi-use to fine screening and recycling. It has a 5' wide screen with matching feeder and conveyor and aggressive stroke up to 13 mm with 5G acceleration that results in the best screening performance in its weight class. The solution is easy to set up and is ready to screen in minutes. The ST2.3 is easily moved from one site to another using standard trailers in most cases. The product will be commercially available as of 2020.